Summary: Difference Between Malware and Adware is that Computer viruses, worms, Trojan horses, and rootkits are classified as malware (short for malicious software), which are programs that act without a user’s knowledge and deliberately alter the computer’s operations. While Adware is a program that displays an online advertisement in a banner or pop-up window on Web pages, e-mail messages, or other Internet services. Computer viruses, worms, Trojan horses, and rootkits are classified as malware (short for malicious software), which are programs that act without a user’s knowledge and deliberately alter the computer’s operations. Unscrupulous programmers write malware and then test it to ensure it can deliver its payload. The payload is the destructive event or prank the program is intended to deliver. A computer virus is a potentially damaging computer program that affects, or infects, a computer negatively by altering the way the computer works without the user’s knowledge or permission. Once the virus infects the computer, it can spread throughout and may damage files and system software, including the operating system. A worm is a program that copies itself repeatedly, for example in memory or on a network, using up resources and possibly shutting down the computer or network. A Trojan horse (named after the Greek myth) is a program that hides within or looks like a legitimate program. A certain condition or action usually triggers the Trojan horse. Unlike a virus or worm, a Trojan horse does not replicate itself to other computers. 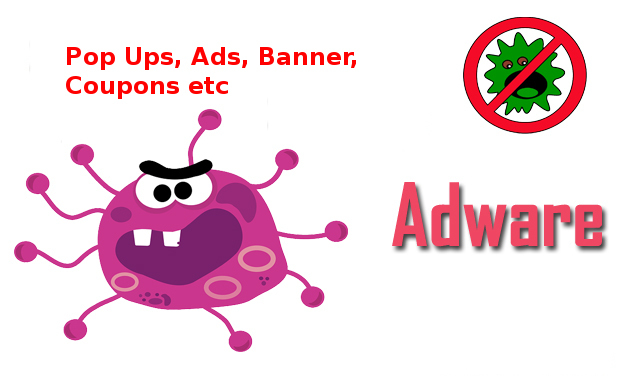 Adware is a program that displays an online advertisement in a banner or pop-up window on Web pages, e-mail messages, or other Internet services. To remove spyware and adware, you can obtain a spyware and adware remover that can detect and delete spyware and adware. Some operating systems and Web browsers include spyware removers.